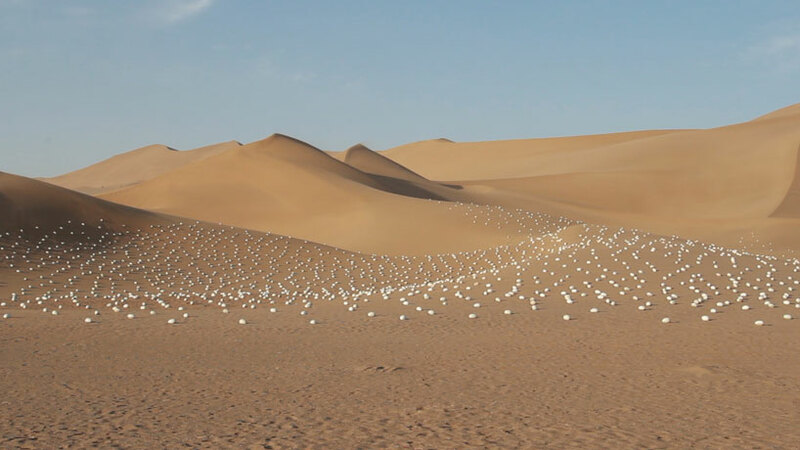 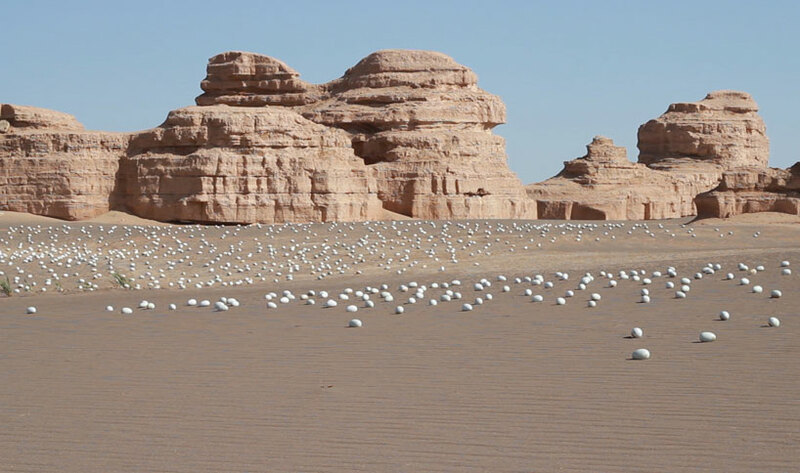 chinese artist shi shaoping has spent over one year firing 3,000 solid ceramic eggs for art installations situated throughout the landscapes of china’s most desolate locales. 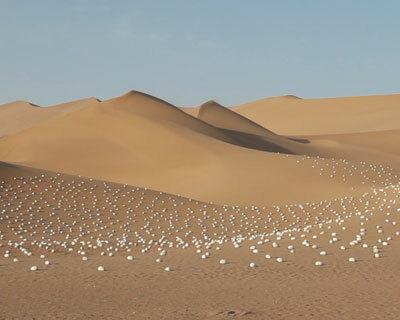 each egg weighs about 10 kilograms, the total sum for the thousands of sculptures equating to 48-tons. 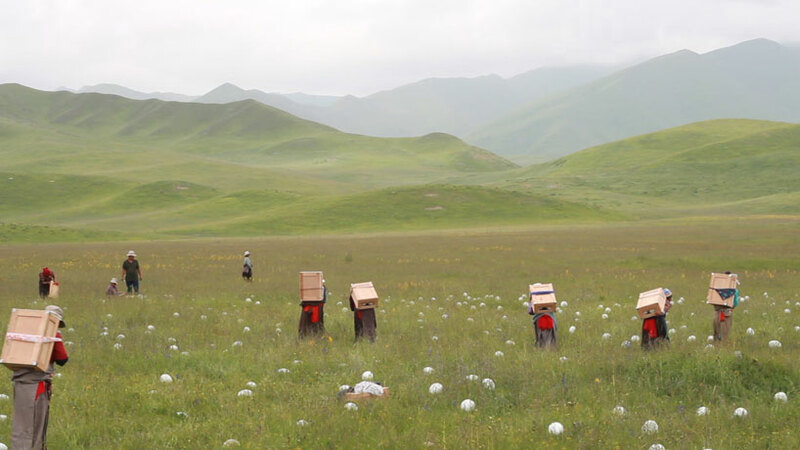 for ‘the metamorphosis series – the eggs’, shaoping takes the mass of solid vessels on an extraordinary journey through uninhabited domains in china, covering some of its most dramatic and haunting landscapes: the rugged behai coast, yardang landforms, the black gobi, sand dunes of dunhuang, and the gannan grassland. 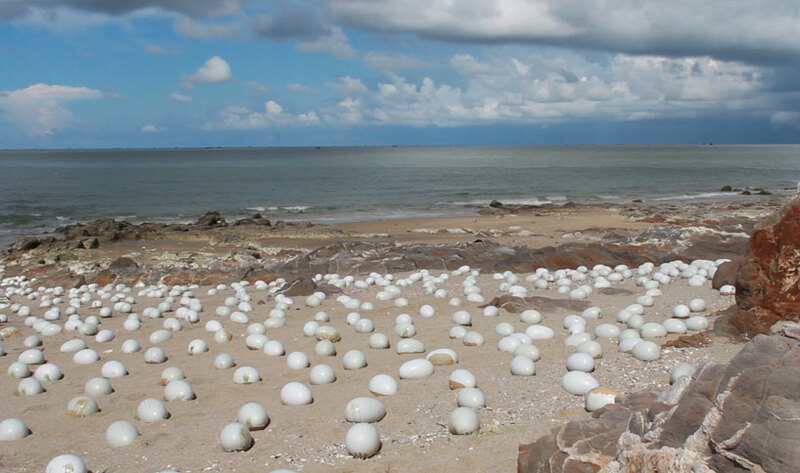 along with a team, he carefully positions each individual piece, taking extra care in adapting the large-scale arrangement to each geographical location; he had to measure the time and height of the tide on the beihai coast to ensure that his art piece wouldn’t be taken by nature and washed away. 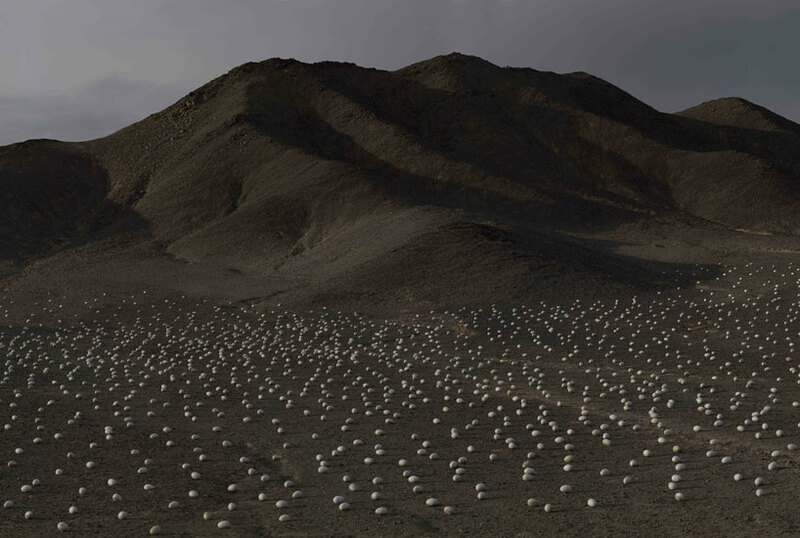 in their final stage, these eggs silently lay on the floor of the exhibition hall at today art museum.’the metamorphosis series – the eggs’ symbolizes birth, fragility and beauty, but since the vessels are solid forms, new life is nonexistent and the artwork in turn reflects the destruction of hope and desperation.